Tenant Letting Fees - What Happens Now? Currently the details of this important announcement are unclear. What is clear is that there will be a consultation period, probably lasting several months involving the Department for Communities and Local Government (DCLG) along with other tenant and landlord associations. As soon as any changes in the legislation are announced Anderson's will, as usual be fully compliant with the changes. Anderson's, since 1998 have offered a high level of service for our tenant clients. Transparent and fair tenant charges have been made to cover the business expenses involved in delivering these services. It is however fair to say that the market has changed somewhat, particularly over the last five years and many, mostly corporate landlords and agents have seemingly exploited their monopoly of large stocks of available property by charging tenants what many would rightly view as unreasonable 'administration' costs. The tenant fee issue certainly needed addressing to introduce transparency and fairness across the industry. Anderson's supported the view that tenant fees, rather than be banned should be capped at justifiable rates. Having a capped tenant fee structure would enable letting agents to have processes and resources, including staff in place to deliver good service and high property standards without the need to increase fee charges to landlords. Anderson's will continue to offer the same high quality services to all our tenant clients until the letting fee legislation is clarified and subsequently introduced. 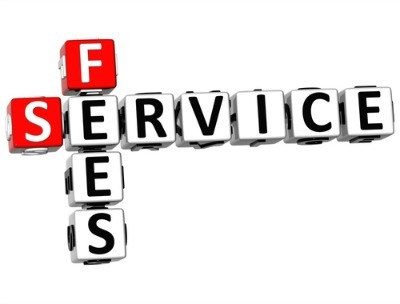 Until then letting fees for our services remains unaltered as does our commitment to provide the highest of service levels to our tenant and landlord clients.